News from LMCU: Refinance your vehicle with LMCU and score $150! 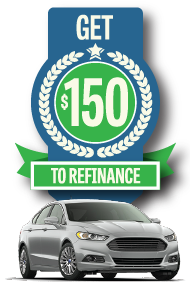 Refinance your vehicle with LMCU and score $150! A lower rate means a more affordable car! If you’re carrying a high-interest loan on your current ride, refinance now to lower your monthly payment. And, get a $150 Visa gift card just for doing the deed! Score! Visit any branch or go to LMCU.org today! *Lowest APR available. Your APR may be different based on your credit. Loan amount must exceed $10,000 and must be from another lender. Promotion ends 8/31/15.